Please note all teaching is in English. 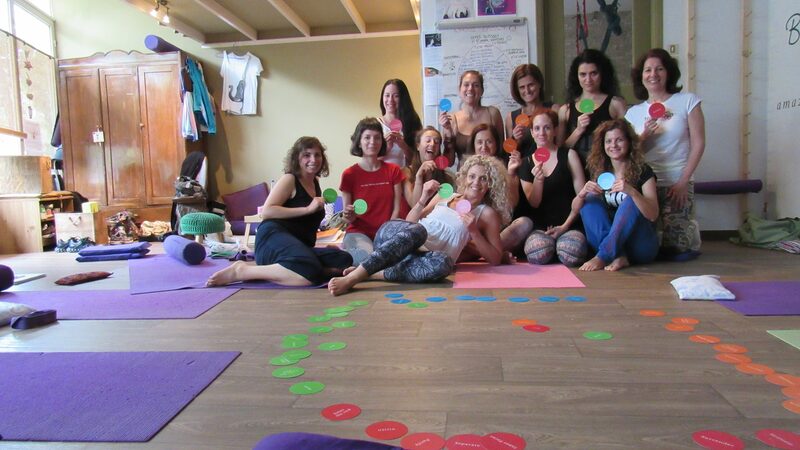 The most intensive and comprehensive Yoga Therapy Diploma in Europe. A professional program where a Yoga Instructor will learn everything she/he needs to know about applying Yoga tools in order to give Yoga Therapy. A unique combination of Yoga Therapy Studies (Viniyoga, Iyengar, Ayurveda) and Physiotherapy that enables and on-going support Yoga Instructors to give Yoga Therapy Sessions with safety and confidence. The Yoga Therapy Greece’s Yoga Therapy Diploma follows the newest standards of the International Association of Yoga Therapists in terms of methodology of Yoga Therapy, the Yoga Therapy Tools and Therapeutic Skills, the Competencies in Biomedical and Psychological Foundations, the Practicum, the Mentoring etc. In the first 7 days we start with a profound foundation of 100 hours in Viniyoga. 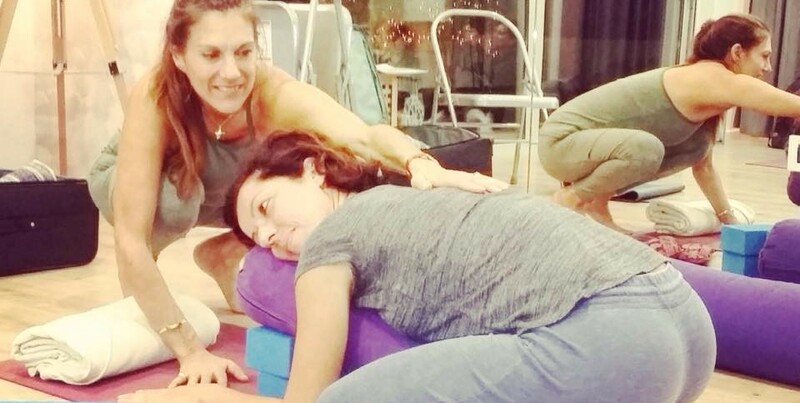 In this unique training we will share Viniyoga and ways to modify practices for different people needs that will enable you to give very creative and therapeutic group classes. We will explore the principles and the practices that were delivered by Krishnamacharya to his son Desikachar and from Desikachar to Gary Craftosw and from Gary Kraftsow to Evi Dimitriadou, the leading Yoga Therapist in these Yoga Therapy Trainings and founder of Yoga Therapy Greece. For the Yoga Instructors who want to give therapeutic yoga classes for specific conditions muscular imbalances without deepening their knowledge in Yoga Therapy, they can attend only this short but intensive Viniyoga course that will add another perspective in their teaching. The following 15 days main training program of 200 hours of Intensive Yoga Therapy Training will enable Yoga Instructors to give 1-2-1 Yoga Therapy Sessions to people with Muscular Imbalances, Mental Health problems, Women’s Health issues as well as most of the Medical Conditions that you will probably encounter. 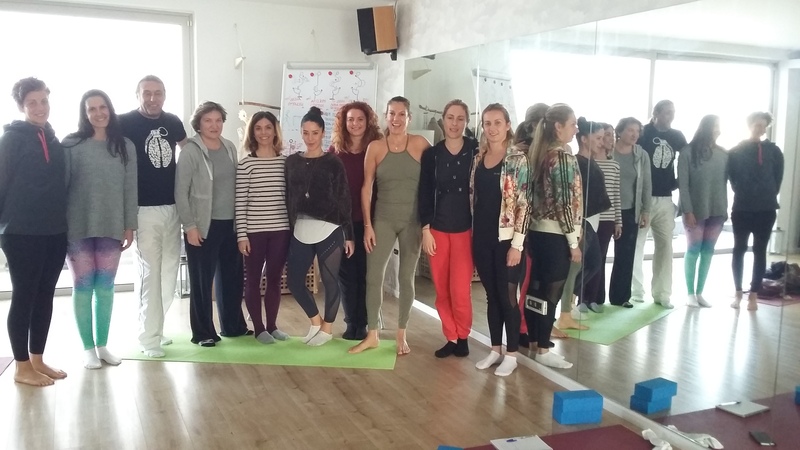 We will share the methodology of 1-2-1 Yoga Sessions and what we do with any muscular imbalances and in medical conditions of the nervous, respiratory, cardiovascular, digestive, endocrine and immune systems. In these 15 days you will discover how to build a therapeutic relationship, how to read different bodies and how to build yoga therapy practices based on people’s goals and needs, incorporating all Yoga Models such as postural and breathing assessments, vayus, koshas, doshas, pranayamas, mantras and mudras, as well as asanas and the way to modify them. 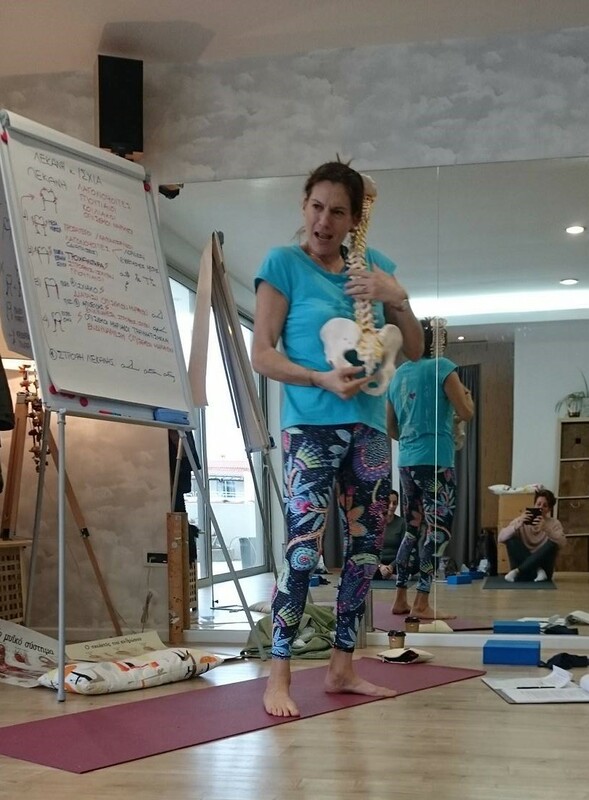 In both Yoga Therapy Trainings, in 200 hours and 300 hours ones, in every module, you will see Yoga Therapies taking place to each of you and we will analyse the Case Studies in order to be able to do the same with your clients. This is a great opportunity to experience Yoga Therapy and get your personal practice. In both Yoga Therapy Trainings you will be supported by your mentor through many personal online supervisions in your first yoga therapies with your clients and case study participants. The 100 hours in Viniyoga is not a prerequisite for the 200 hours of Intensive Yoga Therapy Training but is a very helpful foundation. 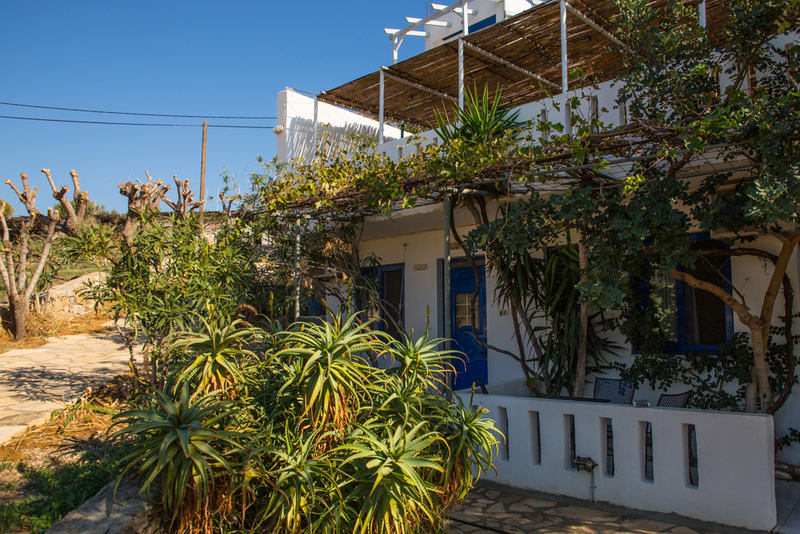 The first part of the training, the 100 hours Viniyoga Training starts on Saturday 3rd August 2019 with the welcome, orientation of the hotel and the awesome Aghios Pavlos area, plus dinner and it finishes on Friday afternoon 9th August 2019. It consists of Viniyoga practices and lectures for 6 days, 2 hours of personal Mentoring through Skype, 50 hours of documented Viniyoga practice as well as personal study from a specific reading list and assignments. You will be supported in developing Viniyoga practices with modified asanas and adapted pranayamas for yourself and others by understanding the valuable principles of this traditional lineage. The Intensive 200 hours Yoga Therapy Training starts on Saturday 10th August 2019 with the welcome and the orientation as well as a delicious dinner. On Sunday morning we start the long and transformational Training per se and we finish after two weeks on Sunday morning 25th August 2019 after a nutritious breakfast. 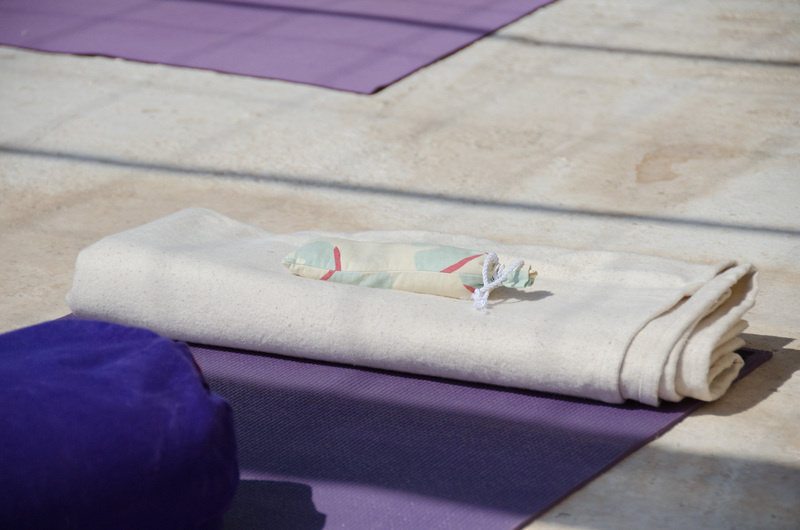 The Yoga Therapy Training takes place for 13 days and we have a free Sunday on 18th August. It consists of 117 hours of lecture and practice hours, 4 hours of Personal Mentoring with the leading Yoga Therapist through Skype for the 2 Case Studies, 50 hours of documented practice with clients of your own out of which 12 hours will be part of the 2 Case Studies, personal study from a well-chosen reading list as well as personal practice and assignments. The intensive 300 hours Yoga Therapy Training starts on Saturday 3rd August 2019 with the Viniyoga Foundation training and finishes on Sunday Morning 25th August 2019 after a breakfast. It takes place for 19 days besides the 2 free days (Saturdays 10th & Sunday 18th August) making it total of 22 days with the arrival day. It consists of 171 hours lectures and practices, 6 hours of Mentoring for the 2 Case Studies, 100 hours of documented practice with real clients of yours out of which 12 hours will be part of the 2 Case Studies, personal study from a well-chosen reading list, as well as personal practice and assignments. Students in all programs are assigned mentors who give feedback about their assignments, guide them in the Case Studies and Personal Practice, and help the Yoga Instructors to understand and apply many Yoga Therapy Techniques. During the training, we focus on each student’s personal, as well as professional, development; we believe that the quality of the yoga therapy practitioner’s ability to achieve a profound level of Self-awareness, presence as well as deep knowledge in Muscular Imbalances, Nervous System, Women’s health, Mental Health and Medical Conditions are very important factors. 1st day – Welcome orientation plus dinner. We will practice Viniyoga Therapeutic Sequences mostly for group classes but also for personal yoga therapy sessions with modified asanas and pranayamas for all muscular conditions such as lower back, hips, sacrum, feet, knees, upper back, neck, shoulders elbows, wrists and hands. We further explore Viniyoga principles and Viniyoga Therapeutic Sequences for Physiological Conditions and appropriate applications of life style counselling principles. We learn how to design practices for groups of students with similar conditions and how to develop the best practices (bhavana or laghana) for balancing the Nervous System by activating the Sympathetic and/or Parasympathetic System through pranayama and mantras in the asanas. We will master the practices of Viniyoga and Tantra Yoga exploring which are the most suitable for each condition and the effect of them in physiological conditions and in quality of life besides in structure. These first seven days will enable you to give creative and therapeutic practices since you will have a direct experience of the effect of them and a deep understanding of the traditional principles. and the different types of Scoliosis. to use the different Yoga Models like Vayus, Chakras, Koshas, Doshas. to come up with yoga therapy strategies through critical reasoning. 14th to 15th day – 2 days Yoga for Women’s Health and Yoga Nidra. We also learn how to build Yoga Nidras and we practice Yoga Nidras that nourish Women in different phases. 16th free day for relaxing at the amazing beaches of Aghios Pavlos in South Crete. In this free day, breakfast and dinner are included. 19th to ­20th day – 2 days Yoga for Respiratory and Cardiovascular. Lectures on the latest research findings, yoga practices using all the yogic tools and the rationale behind them, breathing techniques, meditation, and philosophy as well as dietary and lifestyle advice complement this Intensive and unique Yoga Therapy Training. During the Intensive Yoga Therapy Training the leading Yoga Therapist gives a yoga therapy to every participant, while the participants will have the opportunity to evaluate “patients” in five categories such as Structural, Nervous System and Breath, Ayurveda, Psychology, and Spirituality and be able to practice in a safe and supported environment Yoga Therapies before they start giving Yoga Therapy Sessions with the clients in their case studies and in general. 23rd day Goodbye day and the start of an ongoing mentoring through personal supervisions that will support you in the first yoga therapies that you give. After the breakfast we leave full of knowledge and deep understanding of the Clinical Applications of Yoga Therapy and Viniyoga. 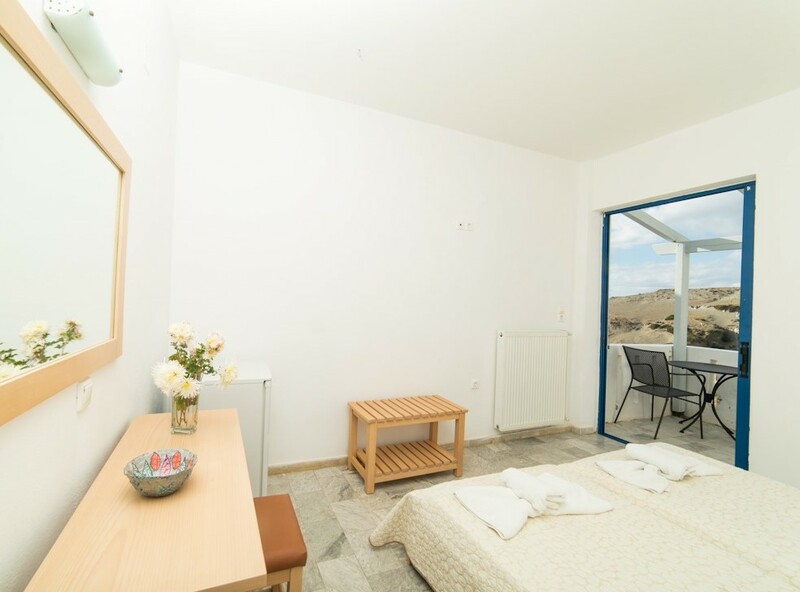 15 or 22 nights accommodation in a beautiful retreat literally a few minutes from the beach and the crystal clear blue water of southern Crete. In the case of the 100 hours Viniyoga Training there are 7 nights accommodation with 7 breakfasts and dinners included, as well as the Certification of 100 hours Viniyoga Training as Continuous Education for Yoga Alliance. 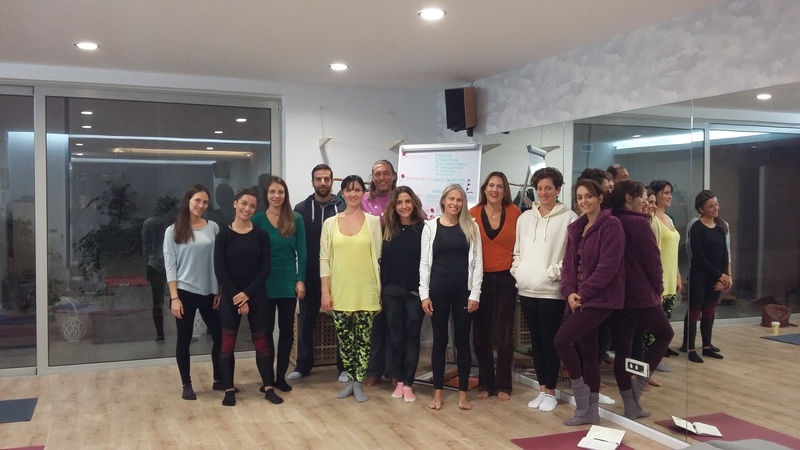 Access through Skype and e mail to the certified Yoga Therapists of Yoga Therapy Greece for on-going mentoring as you take on your own clients. 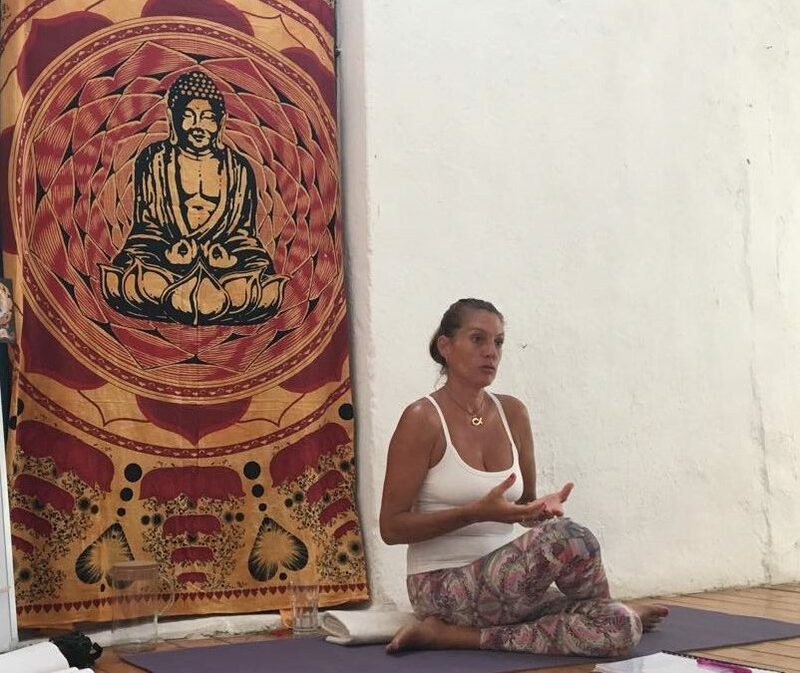 Evi Dimitriadou is a Certified Yoga Therapist by the British Council of Yoga Therapists, a member of International Association of Yoga Therapists (IAYT), a Certified Advanced Yoga Teacher (E-RYT500) with Yoga Alliance, a YACEP (Yoga Alliance Continuous Education Provider) and founder of Yoga Therapy Greece (RYS-300). A student of Gary Kraftsow at the American Viniyoga Institute in the Clinical Applications of Yoga Therapy for 2 years, has completed 2 years of Yoga Therapy Studies at Yoga Campus in London and 1 year at the Aura Wellness in USA as well as being a Student of Physiotherapy in Manchester University for 3 years. She has given more than 1500 personal Yoga Therapy Sessions to people with various ailments and given numerous Yoga Therapy Trainings as well as Yoga Therapy workshops to Yoga Instructors and Practitioners. She has a passion to share Yoga Therapy and enable Yoga Instructors to help people in need as she does with her ongoing support. 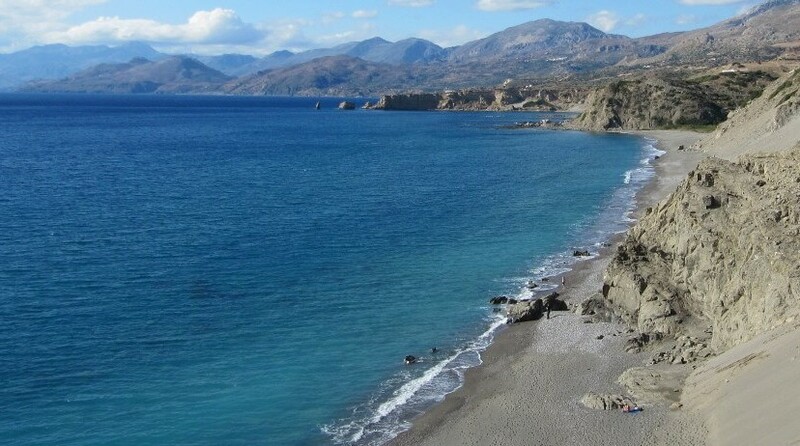 The Yoga Therapy training takes place in the awesome bay of Agios Pavlos in South Crete. 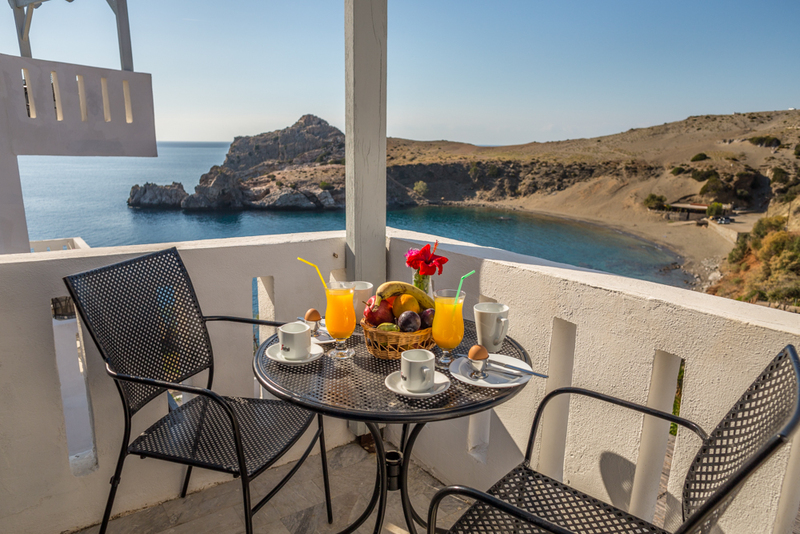 The hotel is located on a small cliff overlooking a picturesque sandy beach with lovely warm and crystal clear waters. The beach is only few footsteps away from our rooms while incredible stretches of sand dunes lie only ten minutes walk away. All the rooms have a balcony and a sea view, air con and a nice bathroom. The breakfast and dinner are fresh vegetarian and delicious. Most people arrive by air to Crete into Heraklion airport (HER) or Chania airport (CHQ). They are both equal distances from the retreat and the transfer is about 2 hours. There are also daily ferries from Piraeus and Santorini to Crete. The taxi is 110 euro from Heraklion, 120 euro from Chania and we always facilitate sharing taxis among participants. Transfers from and to the airport (although share rides among participants are facilitated). Thank you very much to our teacher for the knowledge that we shared with us the immediacy of the humor of the girls about everything we have been living together these days and I wish to all of us EVERYTHING !!!! An excellent seminar necessary for any teacher who wants to approach the yoga in a therapeutic way. Evi, thank you for your honesty, your down to earth manner and the intention to share your knowledge generously! One big thank you Evi! You are a teacher with a very positive energy, sharing generously your experience and knowledge. I am really glad to meet you through the experience of therapeutic yoga. I am looking forward to your next seminar. Thank you for everything.